Three new Japanese eateries from the Omakase Restaurant Group (ORG) are slated to debut under one roof this fall at One Henry Adams in the Design District. The new destinations -- Udon Time, The Butcher Shop by Niku Steak House, and Niku Steak House -- will offer unique experiences and price points on the ground floor of the new apartment complex which opened in spring 2017. Each restaurant will have a separate entrance and its own distinct space. Other eateries operated by Omakase Restaurant Group include Dumpling Time, Live Sushi Bar, Live Sushi Bistro, Omakase, Okane, and Breakfast at Tiffany's. The Butcher Shop by Niku Steak House. "With One Henry Adams, we're creating a one-of-a kind dining destination where guests can experience three unique takes on Japanese-inspired cuisine," said Kash Feng, ORG's co-owner. Udon Time, a fast-casual noodle soup shop, will be the first to open on the block. Executive chef Edgar Agbayani -- who developed the menu at Omakase's Dumpling Time -- will run the kitchen. Expect to see an array of udon soups with house-made noodles aged overnight served with traditional Japanese toppings. 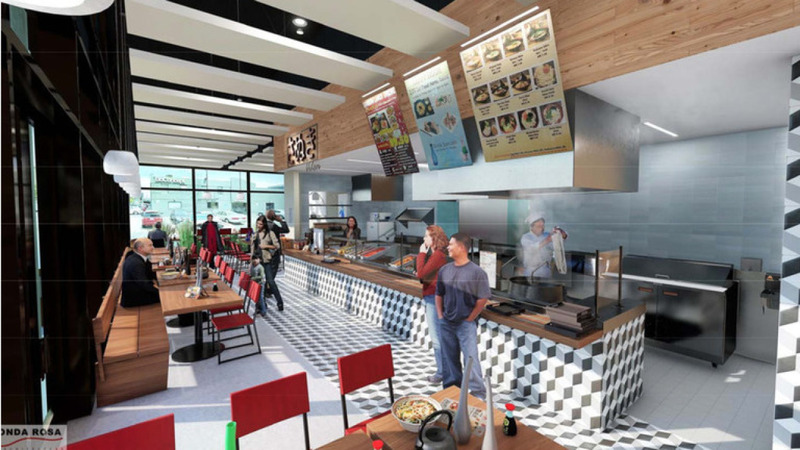 The menu will feature a build-your-own-meal concept, where guests can customize each bowl "as they move down the service line," said a representative. 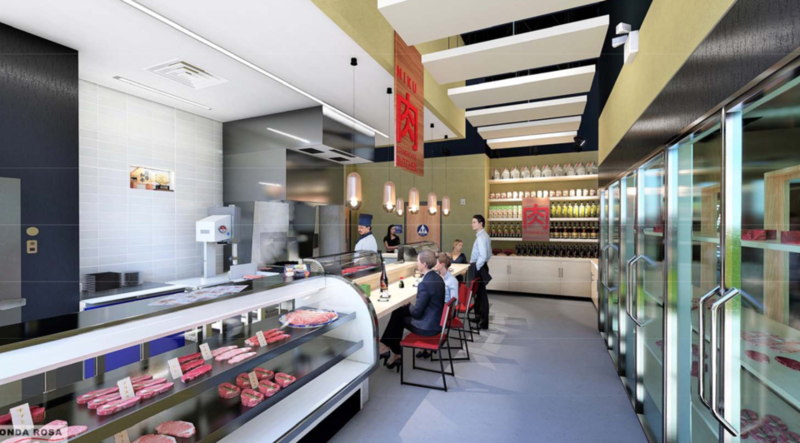 Located adjacent to Udon Time will be The Butcher Shop by Niku Steak House, a certified Wagyu butcher selling American-farmed beef, pork and lamb. Billed as the city's first Kobe beef retailer, the shop will also be an exclusive purveyor of A5 Wagyu sourced from Japan. Butcher Guy Crims is at the helm and will offer daily cutlet sandwich lunch specials at a small counter. Rendering of Niku Steak House. Lastly, Niku Steak House will feature a kappo-style (multi-course chef's choice) dining experience led by chef Steve Brown of San Diego's Cosecha SD. 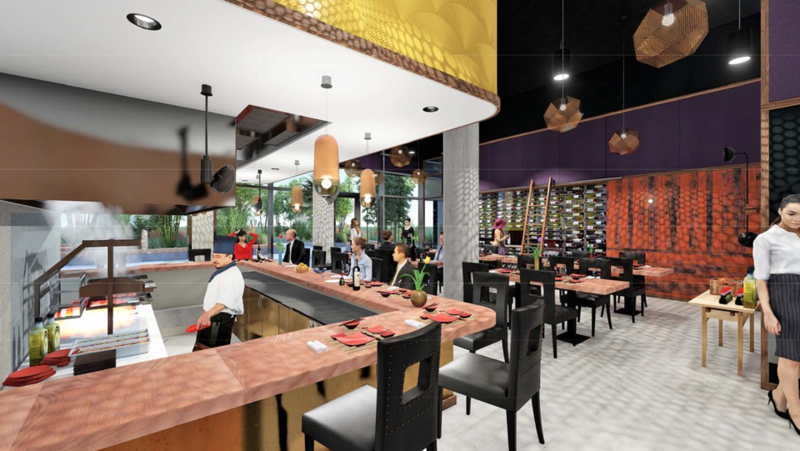 The space will feature 60 seats, with a floor-to-ceiling bar at one end and an open kitchen with a custom-made binchotan (white charcoal) grill and a wood-fired yakiniku grill as its center. For libations, expect to see an eclectic assortment of French and California wines with a whiskey-focused full bar. All three restaurants are expected to open this fall. "Chef Agbayani, Chef Brown and Head Butcher Crims bring a wealth of knowledge, experience and passion to this endeavor, and I couldn't have found a team better suited team to bring these concepts to life," said Feng.